Alton will be closed Good Friday, April 19th. and will re-open Sunday night. 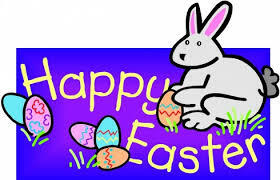 Alton wishes everyone a safe and enjoyable Easter weekend!! Receiving Soybeans, Corn and Wheat, wet or dry. Hours are 8 am to in-line by 4:30 pm Monday - Friday. Free price later corn, beans and wheat delivered Alton, limited space. Call ahead to contract space. Free price later corn, beans and wheat delivered Halstad through your Co-op ID or direct in your farm name. Call Mark and Cory at Alton for details and pre-contracting price later grain into Alton AND Halstad. Price later contracts will need to be in place before hauling. Wheat is any protein, no scales - Subject to change. New crop 2019 and 2020 contracts - No service charge. AGT will not accept grains containing GMO events not approved for US export markets. Price as of 04/21/19 02:06PM CDT.